Since the early 80’s, the most popular and best selling surfboard design has been the high performance shortboard. But over the last four to five years, things have changed drastically and these days’ surfers are much more open to experimentation and trying different designs. On an average day at Fistral say, you’ll see every type of surfboard design under the sun from fishes to foamies, eggs, hybrid fun boards to classic noseriders, and quads to traditional thrusters. In an attempt to reduce any confusion among the less experienced surfers out there or perhaps some of the diehard shortboard enthusiasts, we’ve written a short description on each of the major design groups including each surfboard’s performance characteristics, type of surf they’re best suited for, and level of experience required to get the most out of their design. Please keep in mind that these are only rough guidelines, and each surfer is different. A few surfers may have differing opinions on certain board designs that we suggest for a particular type of wave. Each surfer’s preferences and physical ability vary greatly, just like the infinite number of surfboard combinations. The goal of this board guide is to give surfers the general idea behind each design and help you make a better choice when deciding which board is best suited for your needs. What Type of Board Should You Start With? I just started surfing. What kind of board should I ride? If you’re a beginner, choosing the right board is easy. 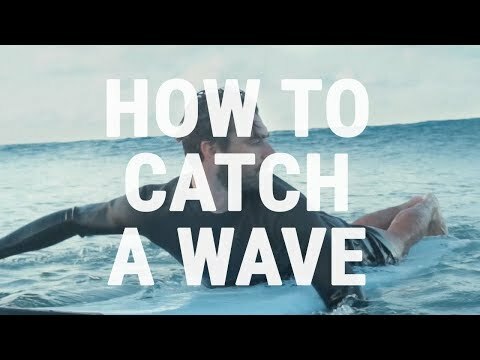 You really only need to consider catching as many waves as possible at this point, so don’t worry about complex design elements. Instead, concentrate on getting the correct size (length, width, thickness) and type of board. Most people will tell you to get a longboard, which is good advice, but it’s not your only option.If your goal is to manoeuvre you should try a mid size funboard / mini-mal surfboard or egg shape. You’ll learn to turn much sooner on a board that’s a little shorter, and with the right amount of width and thickness it will allow you to catch waves as easily as you would on a long board. Having less length will also help you to spin around when you start paddling to catch a wave. Lots of beginners have problems getting into position with long boards and if they’re not in good paddling condition, all that board can be a disadvantage. However, a very good skateboarder might be able to learn on a shortboard surfboard but you’re better off working your way down from a fun board or an egg.On the other hand, if your goal is to stand up and ride a wave as soon as possible, the long board will usually get you up and riding within the first few hours. We wouldn’t suggest a shortboard surfboard for a beginner unless you’re a parent who surfs and wants to teach your child, in which case you’ll probably be pushing them into the waves from close to the shore.The next thing to consider is the dimension of your surfboard and as a beginner you’ll only need to consider length, width and thickness. Once you get more advanced there are other dimensions and design elements to learn about including outline, rocker, vee, concave, fin placement, fin template, and rail shape. But for now let’s stick to the basics.In order to maximize your surfing potential and fun, your board must fit you. For example, buying the wrong size shoes will cause all types of problems. The same is true for your surfboard. All surfers will want to wax the deck of their surfboard for traction, trying to ride an unwaxed is no fun! As you’ll see on our surf wax product pages manufacturers produce wax in varying degrees of hard/softness, softer wax is for use in colder water while a harder wax would be used in warmer conditions – the harder the wax the higher it’s melting point.Many surfers will apply a harder warm water wax to a new board as a base coat and then apply a softer cool or cold water wax on top of this as conditions dictate, however you should avoid applying a hard wax ontop of a softer one as the soft wax underneath will melt and your board will end up offering little grip, so if after a winter of UK surfing you’re heading of to warmer climates you’ll need to clean the old wax off your board with a combe or wax tool and a product such as Pickle Wax Remover before applying a harder wax. Knowing how your board was originally built will make repairing it that little easier! After a foam blank is shaped it is laminated. The laminating process combines both resin and fiberglass cloth to seal the foam and create strength. Most modern surfboards are laminated with 4 and 6 ounce fiberglass cloth using polyester or epoxy resin.First, the cloth is cut to size and laid over the foam. Then, resin is applied with a squeegee to evenly distribute and saturate the resin in the cloth. The process should be repeated on the bottom carefully wrapping the rails to blend over each other. This is standard procedure for both polyester and epoxy surfboards.Once the board is laminated and the fin plug are put in, it’s time for finishing. Finishing refers to how thesurface of the board looks. There are two basic finishes, sanded and gloss, both begin with a final coat of resin for finish sanding. Polyester boards require sanding resin, which contains a liquid wax additive and coats the surface for easy sanding (note: laminating resin should never be used for finishing – the surface will remain tacky). Epoxy resin is used for both laminating and finishing. The final coat of resin needs to be sanded – usually with a foam backed sanding wheel and a medium grit sandpaper. This step evens the surface of the board. A sanded gloss coat is the base for either a sanded or polish finish. Sanded finishes are then wet sanded with a fine grit and sprayed with lacquer. Gloss finishes require additional wet sanding and polishing.